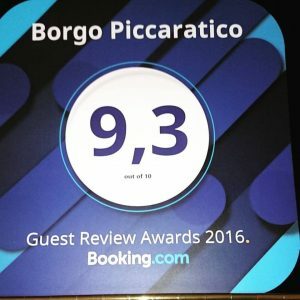 We are glad and proud to annunce that Booking.com bring to us a pride, the GUEST REVIEW AWARDS 2016 with a very good annual score: 9.3/10. Thanks form our heart to all our Customers and their votes: today we are strong determinated to improve again our work and passion. We don't ship orders outside Italy at the moment. We will answer to you by mail soon with our best offer for you.